When an Australian identical twin with persistent headaches got an MRI scan, nothing unusual was found. But he had a notion that his brother should go and get the test done, too. Incredibly, his twin’s brain scan discovered a massive and rare tumor. Since undergoing surgery, the twin has since recovered well. 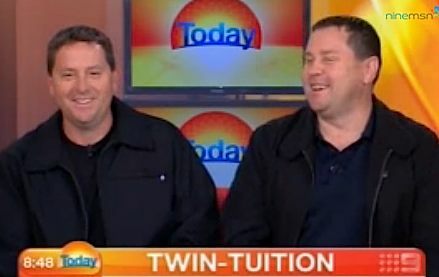 “The incident has left medical experts acknowledging that there is still plenty to learn about the remarkable connection between identical twins,” reports the Huffington Post.